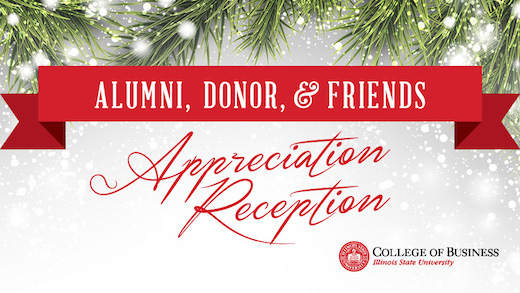 You and a guest are cordially invited to the College of Business Alumni, Donor, and Friends Appreciation Reception. The faculty and staff of the College of Business sincerely appreciate your continued support and investment in the College. Complimentary parking available in Lot G73 (east of the stadium) and Lot G83 (north of the stadium).